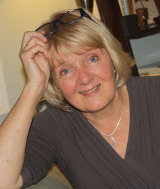 Elaine was the Executive Director of Child Care Connection N.S., and in that capacity worked with CCECENS on projects that included EC Centre Administrator certification, recertification, and facilitated planning, promotional material, web site development etc for CCECENS. Prior to that, Elaine was an EC Administrator and Early Childhood Educator. She is an associate member of CCECENS. Ginnie Gobien holds her diploma in ECE from Ryerson in Toronto. Over the last 40 years, Ginnie has worked in a variety of early learning settings in Toronto, Moncton, and Yarmouth. She ran her own half day preschool programme for 7 years before accepting a position at the Boys and Girls Club as the School Age Supervisor. For the past 15 years, Ginnie has been on the ECE faculty at the NSCC – Burridge campus. She enjoys having opportunities to share her knowledge and insights through teaching and presenting workshops. 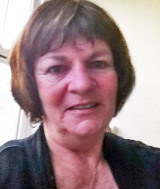 Susan has been engaged with young children and their teachers in many ways over the last 40 years, as an Early Childhood Educator, Director, Practicum Supervisor, and Teacher Educator. 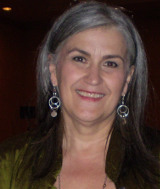 Much of her work has been in ECE laboratory school settings, where she was able to work with student teachers during their learning journey, and also conduct action research. Emergent Curriculum in Early Childhood Settings, and Unscripted: Emergent Curriculum in Action, both published by Redleaf Press. Susan was raised and educated in England, received her graduate degree from Pacific Oaks College, and now lives in Dartmouth, Nova Scotia. She teaches curriculum courses at the N.S. College of ECE and also advises student teachers in their practicum settings.